Sony Creative Software offer an award-winning range of products for music, digital video, DVD and audio production. Shop leading software suitable for professionals, amatuer and enthusiasts including ACID, DVD Architect Pro, Catalyst, Sound Forge, Vegas and more at Sony Creative Software. Sony Creative Software ACID Pro 365 Only $3 for The First 3 Months. Regularly $29.97! Sony Creative Software Sound Forge Pro 365 3-Month Subscriptions Now only A$1 - Get It Today! Sony Creative Software Magix April Sale: Xara Photo and Graphic Designer 16 - for Only $44.99. Plus Get Panorama Studio 3.2 for Free! Sony Creative Software Magix April Sale: Music Maker 2019 Premium Edition Now only A$89.99. Plus Get a Free Soundpool - Save Over A$89 Today! 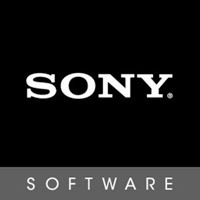 Do you love Sony Creative Software? Microsoft Store Shop Surface Headphones - Free Shipping and Returns!